Russia is on the right track towards democratization, President Dmitry Medvedev told a conference of foreign and Russian experts held at the Global Policy Forum in Yaroslavl. Opening Day Two’s plenary session Dmitry Medvedev addressed Russian and foreign delegates and talked about political institutions and modernization. Speaking on the subject of Russia’s political system, Medvedev appeared confident and optimistic. “I don’t have the feeling that we live in a ‘stale’ atmosphere, that we are stagnating, that we have a police regime,” Medvedev said. “I think we have gained a steady pace of social development. “We have been told [to adopt] a parliamentary democracy. 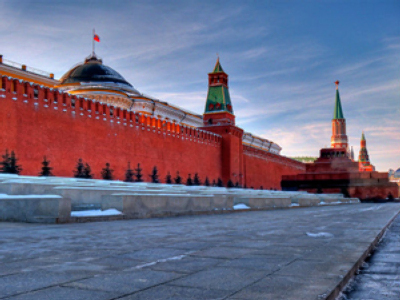 But for Russia, I’m afraid, a parliamentary democracy would be a disaster,” the president said. Also in his speech, Medvedev mentioned that it has been exactly a year since he wrote his famous "Go, Russia!” article, which outlined the need to modernize the Russian economy. According to Medvedev, diversifying Russia’s economy and steering away from resource dependence is crucial to the country’s development. “We absolutely must reform the economic system, otherwise we have no future,” he said. 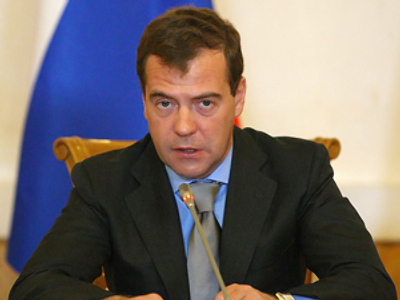 Democracy was also the main topic of Dmitry Medvedev's keynote speech at the forum. Professor of political science from Yale University Ian Shapiro, who asked Medvedev about Russia’s role in promoting democracy in countries like North Korea, Burma, Iran and Africa, said the president gave a “heartening” answer.